DARI Is a state-of-the-art, marker-less motion capture system that provides a functional motion data analysis within minutes. DARI can identify asymmetries, imbalances, kinetic deficiencies, injury risk and compensation patterns by recording body mechanics. 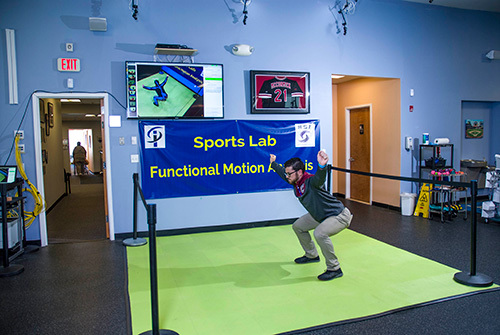 With the analysis of this data in hand, trainers and clinicians can put together an individualized program for improving fitness, mobility and performance. Sport specific testing can be performed with recommendations on training that can be shared with your coach or trainer. Retesting can measure progress and improvements in biomechanics, balance and coordination.